Campaign Complete. This project has ended on December 12, 2017. No more contributions can be made. All funds will be collected by December 12, 2017. Pledge £5 to receive quarterly project updates by email for 12 months. Pledge £10 to learn more about this project via a pre-recorded online seminar + receive project updates. 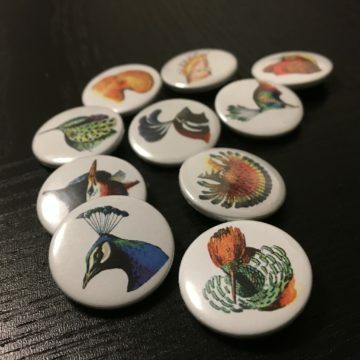 Pledge £30 and we will send you a cute bird badge, and you will also receive access to an extended online seminar followed by a live question & answer session + Project updates + Online seminar. 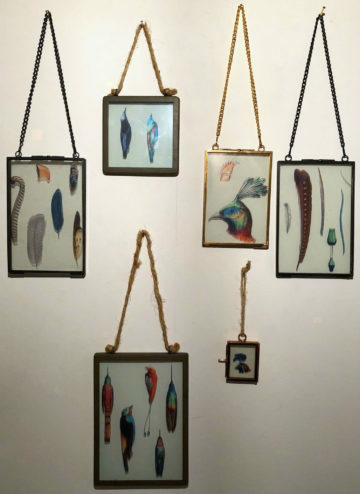 Pledge £50 to receive a series of 10 postcards by Trevor Andersen OR a framed miniature Adolphe Millot bird/head/feather + Project updates + extended online seminar with live Q&A + Online seminar. 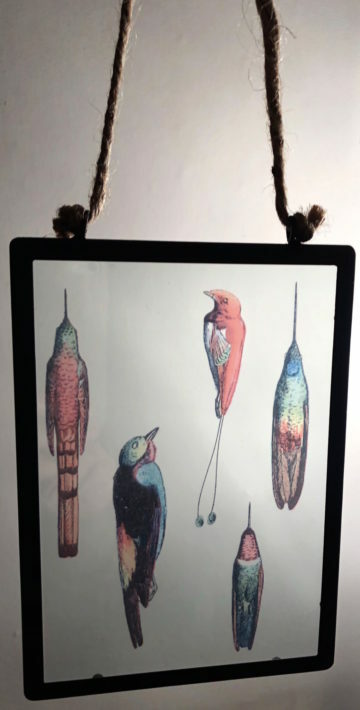 Pledge £75 and we will send you a beautiful framed Adolphe Millot bird/feather/head in a vintage industrial style frame (10x10cm or 10x15cm; colour: black/white/dark brown). + Project updates + extended online seminar with live Q&A + Online seminar. Postage costs are required for non-UK delivery. *Postage cutoff dates for Christmas delivery apply, see below for detail. Pledge £150 and receive a splendid framed Trevor Andersen photograph or pelicans by Thanh-Lan (frame dimension: 40x50cm, colour: black/white) + Project updates + extended online seminar with live Q&A + Online seminar. Postage costs are required for delivery. *Postage cutoff dates for Christmas delivery apply, see below for detail. Receive a splendid medium sized framed wing: grouse, wood pigeon or partridge (frame dimension: 23x23cm, colour: black/white) + Project updates + extended online seminar with live Q&A + Online seminar. Postage costs are required for delivery. *Postage cutoff dates for Christmas delivery apply, see below for detail. Pledge £250 and we will send you a stunning framed Adolphe Millot print (frame dimension: 40x50cm, colour: dark brown) + Project updates + extended online seminar with live Q&A + Online seminar. Postage costs are required for delivery. *Postage cutoff dates for Christmas delivery apply, see below for detail. Pledge £1000 and we will invite you to see how we setup an analysis either in person or over Skype + Project updates + extended online seminar with live Q&A + Online seminar. Depending on your location we may be able to organize a behind the scenes tour of a local museum. If a museum tour is not possible you will receive a large framed wing instead – postage cutoff dates apply. Research into bird plumage colouration has shed light on how birds communicate, avoid predators and form new species. However, these studies represent a small fraction of bird species around the world as a global database of colour for birds does not exist. I have asked everyone that I can think of in the scientific community to contribute their bird plumage colour data to BirdColourBase. 17 labs in 8 countries from 3 continents have provided their data to build this database. BirdColourBase has colour samples from ~30% of all bird species (~80% of all bird families) worldwide. Collectively it cost hundreds of thousands of pounds to sample these species. By aggregating existing data BirdColourBase was built without any additional grant funding and will eventually become a large open access database for all. My planned research on bird evolution aims to understand how plumage colour contributes to natural selection, biodiversity, and the generation of new species. Bird plumage is spectacular; from the stunning pink feathers of flamingos to the striking spots of the peacock, birds have captivated the imagination of generations of scientists. The 10,000 species of birds in the world are grouped into hundreds of families of related species. The colouration of some birds is bold and striking whereas in others plumage colour is used to hide in plain sight (camouflage). Some families of birds look remarkably similar whereas the species of other families look different from one another. How and why have these differences and similarities evolved? Is it driven by animal vision or is it due to relatedness? I am planning a range of novel projects on bird evolution to understand how plumage colour contributes to natural selection, biodiversity and the rise of new bird species across all families of birds. Even though the database is not yet complete, the first BirdColourBase pilot project has begun by working with another crowd science facilitated project (https://feederwatch.org). Further collaborations are due to begin in 2018. The remaining ~20% of bird families need to be sampled to ensure that BirdColourBase is representative of birds as a group. A selection of some of the stunning perks to supporters of this exciting project. They will arrive in time for Christmas! We are at a unique point in history where we have the technology to ask questions about evolution on a global scale. The gold standard in colour measurement is to use physics based spectrophotometry. Spectrophotometry is portable enough for museum and field based data collection. Museums have amassed a wealth of specimens covering close to every known extant species of bird. Further, supercomputing power to analyse evolultionary processes in large datasets is becoming ever more affordable. Finally, multiple phylogenies that describe the relationship between all birds in the world is publicly available. Just 10 years ago this project would not have been possible. 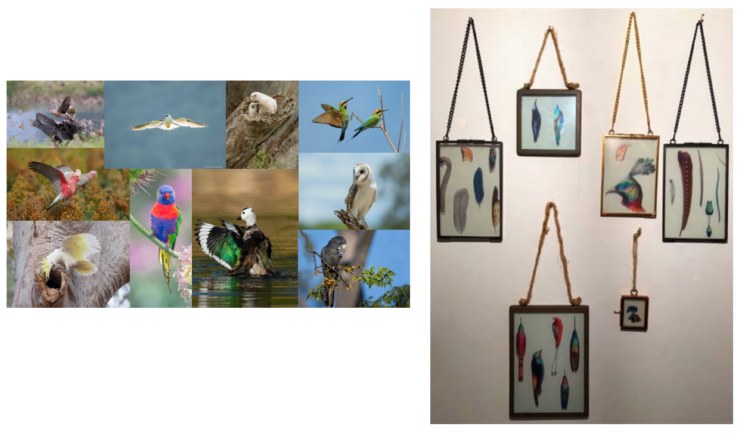 BirdColourBase is about understanding how something as beautiful as bird plumage evolved. Almost every major technological innovation in the history of science stems from basic curiosity about the world around us. Understanding nature’s colour palette inspires creativity and innovation that fosters technological collaborations between scientists as well as with industry. The number of projects possible with this type of dataset is only limited by the imagination. First, we will publish the shape of avian colour space so that the benefit and impact of our work can be reached by many. Second, we aim to understand how the distribution of bird colouration is shaped by natural selection in different geographic regions. Third, we aim to understand how the evolution of new plumage colour mechanisms may have contributed to the rise of new bird species. There are many opportunities on the horizon for collaboration with other groups that are currently in discussion. 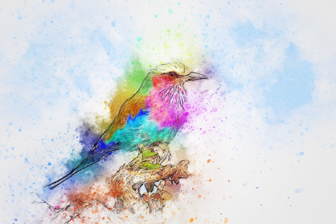 In the long term BirdColourBase will become a public resource that is freely available ensuring that precious public funding turns into a resource for everyone. Children in developing countries and professors at top universities will be able to download the same high-quality data to explore colour evolution and who knows where that will lead! Phase 1: To complete our dataset so that it represents all avian families, I will need to sample more specimens. To do this I need a spectrophotometer and laptop to collect this data. The spectrophotometer, including WS-1 white standard, xenon light source and angled probe is £4829. A basic laptop from Apple is £1249. This comes to £6078. On reaching our funding goal sampling of further birds will be undertaken as soon as the equipment is delivered. Phase 2: To work with a big data set of this size I will need a powerful computer. A Mac Pro (2.7hz 12-core, 64Gb, 1Tb, LG UltraFine 4k display) is £7228. Phase 3: Personnel for database curation and project implementation for 12 months: £60,000. Support this project and choose from receive one of these stunning images. A perfect Christmas present! 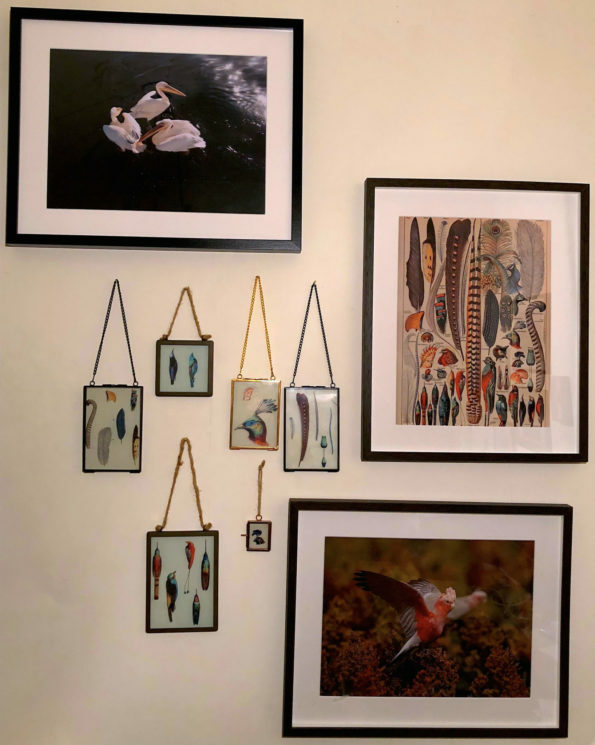 Large black frame top left – pelicans in QLD (by Thanh-Lan), large dark brown frame right – Types de plumes (by Adolphe Millot), large dark brown frame bottom right – Gallah’s feasting on sorghum (donated by Trevor Andersen). 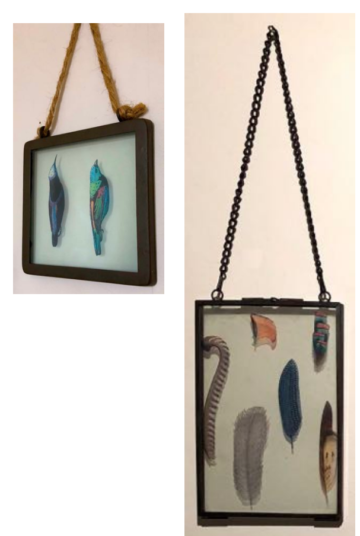 All other glass frames contain inserts taken from Types de plumes. 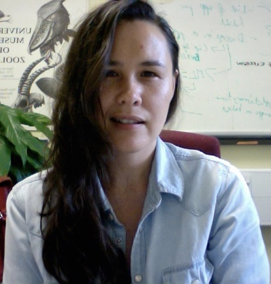 I am an evolutionary biologist interested in the developmental context in which evolution occurs and the mechanisms that underlie diversity in animals. My long-term research goals are to link the causes and consequences of constraints on the generation of variation by developmental processes with the production of new animal forms due to adaptation at the macroevolutionary scale. To explore these far-ranging themes I use a range of tools borrowed from computer science, physics, molecular and developmental biology. Currently my three major areas of investigation are 1) the developmental basis of bird plumage pattern formation in Galliformes (bars, spots); 2) does plumage pattern formation development constrain or facilitate speciation, 3) phenotypic niche space in birds. 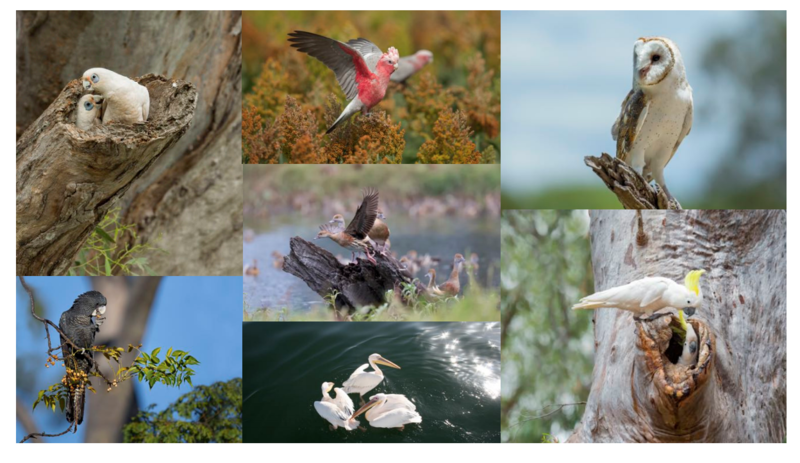 Prof. John Endler (FAA) (Alfred Deakin Professor, Deakin University): I am delighted to support this crowd funding effort to support the building and maintaining of an internationally accessible database with spectra from as many bird taxa as we can accumulate. This will be extremely valuable for studies of the visual ecology and evolution of birds as well as providing additional insights into bird and animal colour vision (birds have much better colour vision than humans!). Dr. Gonçalo Cardoso (Lecturer, CIBIO): Completing and curating these scattered data will accelerate research tremendously. A database of this size will be invaluable for researchers across the world and is an important resource for scientists and the general public. BirdColourBase is lucky enough to have received photographic donations for this campaign from Trevor Anderson of Australian Nature, a Brisbane based nature photographer showcasing Australia’s unique flora and fauna (Instagram: Australian_nature_). 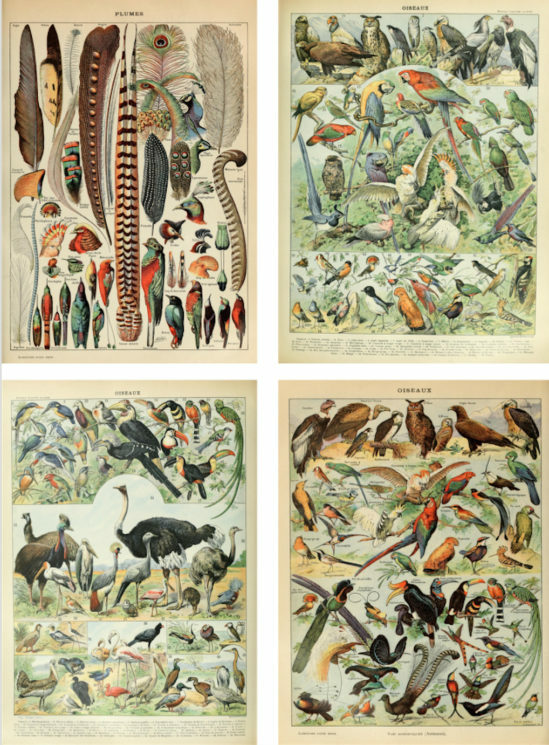 Bird drawings were made by Adolphe Millot, a 19th century French painter and entomologist. Below are sample perks of Trevor Andersen postcards and framed Adolphe Millot birds for pledges of £50-£75. Dimensions: miniature frame bottom right (4×5.5cm), medium frame second top (10x10cm), large industrial frames (approximately 10x15cm). To ensure that your framed item arrives in time for Christmas make your pledge by Thursday 7th of December for Australia and New Zealand, Tuesday 12th of December for North America, and Wednesday 13th of December for Europe. CEFE-CNRS Univ of Montpellier France: Doris Gomez, Hugo Gruson, Amélie Fargevieille and Claire Doutrelant.